Today Courtney turns 12 years old. 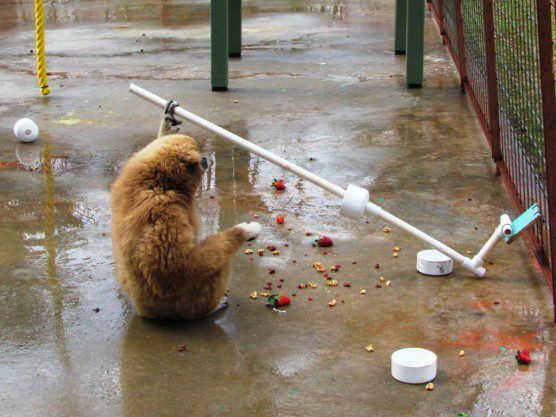 In honor of her last pre-teen birthday, our staff constructed a nifty new enrichment device we hoped would engage those devious little brain cells. Courtney and her special birthday “PVC pinata”! 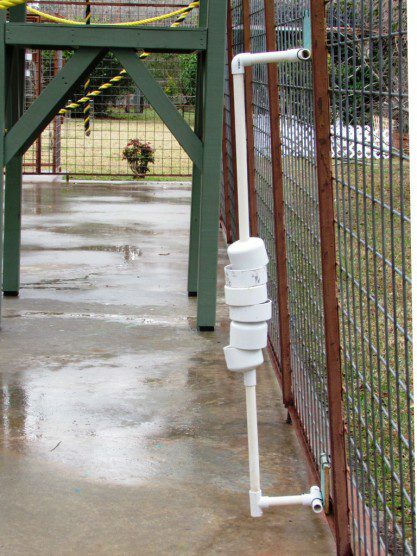 The apparatus consists of a series of nesting plastic cups strung together on a vertical PVC pole. 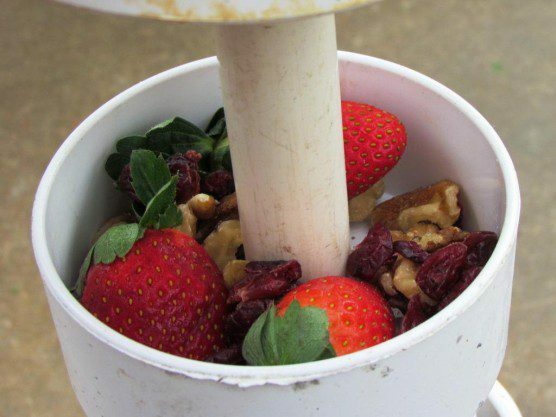 Each cup can contain a variety of healthy treats: today we used strawberries, dried cherries, walnuts, and craisins. Fruit and nuts are healthy treats. 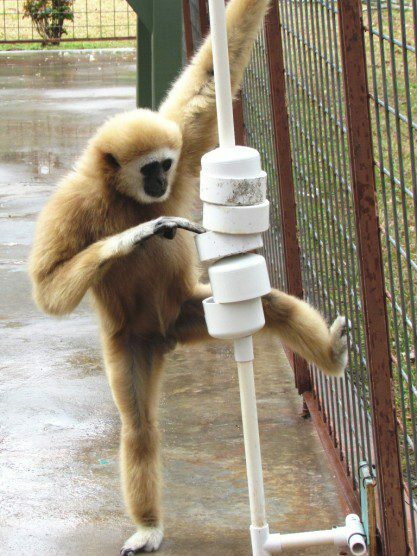 The pole apparatus was attached to the outer wall of Courtney and Whoop-Whoop’s outdoor enclosure. 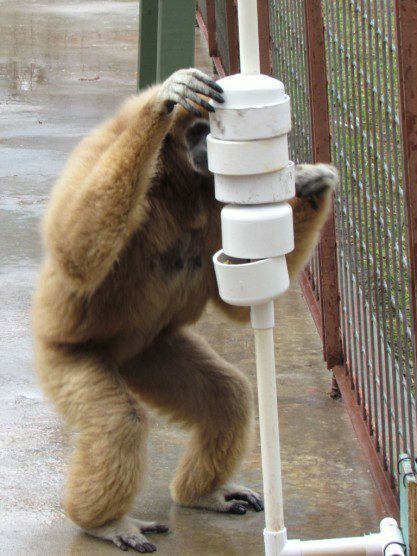 Tina got the idea by searching online, although we had to make the device sturdier than originally depicted in order to withstand our gibbons’ curiosity. Instead of regular plastic drinking cups to hold the goodies, for instance, we went with large PVC caps, the kind used by plumbers. 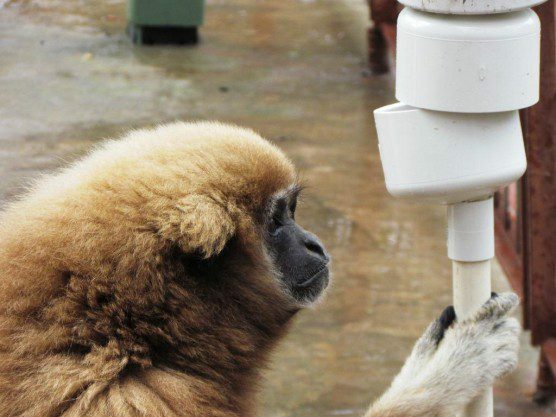 The device was attached to one wall of Courtney and Whoop-Whoop’s outdoor enclosure. Fortunately, the weather was cooperating today! 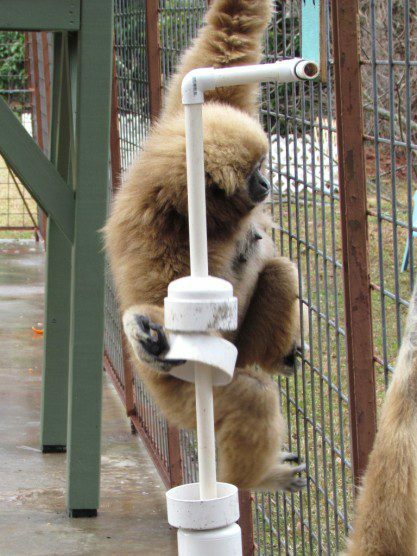 The two gibbons had to be kept indoors while our animal care staff set up the contraption and secured it with zip ties. When Rachel came to let them out, our dynamic duo darted over right away to see what was new. Normally diffident Whoop-Whoop was actually the first to approach. He picked at the cups carefully, saw that there were goodies inside, and started to extract the dried cranberries, which are quite a favorite. Whoop-Whoop was the first to get the hang of the concept. However, when Courtney realized that there was food involved, it was “Party’s over, pal!” for Whoop-Whoop. She practically knocked him over in her eagerness to get at the stack. Courtney got Whoop-Whoop out of the way as soon as she realized there was food inside.  First she stood peering at the insides intently. Then for almost half a minute there was wild-and-crazy arm action as Courtney began her rapid-fire manipulation of the cups. And broke things apart, of course. Hanging on the device probably didn’t help! Courtney suddenly found herself in the midst of a goodie bonanza. Courtney was ecstatic to suddenly find herself in a shower of yummy treats—a real PVC piñata! 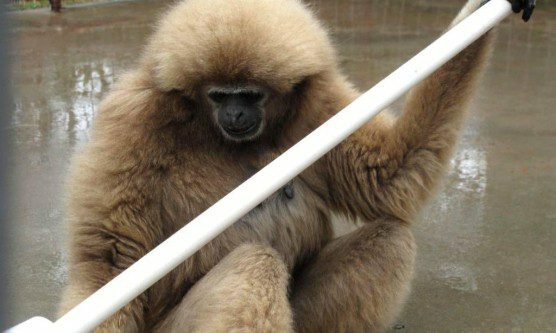 Courtney was thrilled: this might be the best birthday treat ever! Whoop-Whoop was obliged to amuse himself with working the edges of the scattered pile, picking up overlooked craisins, licking the insides of discarded cups, and playing around with them (he tried to balance one cup on a rope swing). Fortunately, putting the device together again is “an easy fix,” says Rachel. The next round of improvements will probably involve a set of screws to attach the pole firmly to the wooden braces. 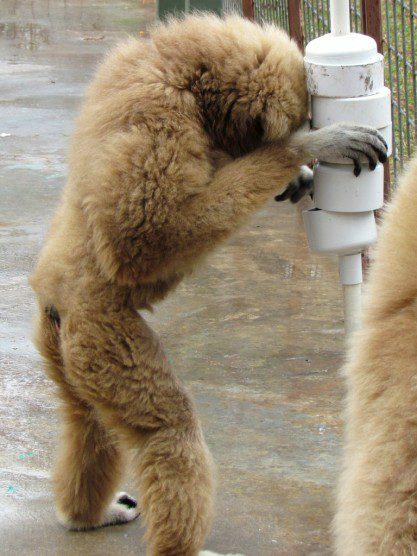 We’ll up our game before we try this out on, for instance, Maynard. It’s hard to believe, but next year, Courtney will be a teenager.